These two cuties are all ready to smile for the camera, complete with lots of party props, making this the perfect funny birthday card to help celebrate your sister's birthday! 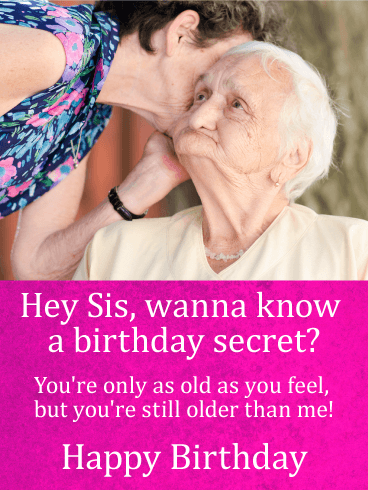 There's a playful, tongue-in-cheek tone that's perfect for an older sibling to send to her little sis, no matter how old she's turning this year. 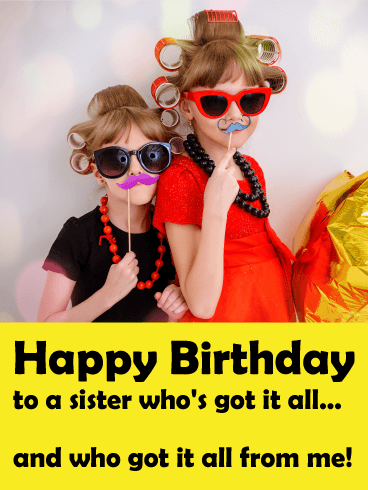 If your sister's got a great sense of humor, she'll definitely appreciate this funny birthday card! 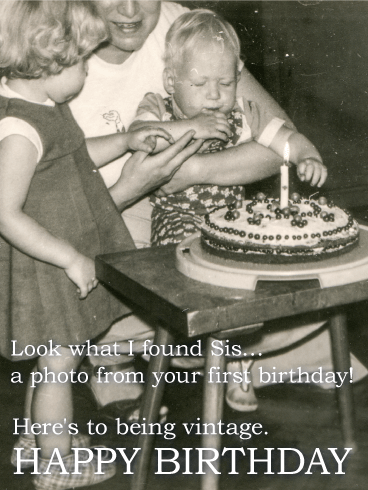 An old black-and-white photo of a baby ready to blow out the candles on the cake adds a nostalgic, charming touch, while the message will have her cracking up. This is the perfect choice for a "vintage" sister celebrating a milestone birthday she may (or may not) be looking forward to! 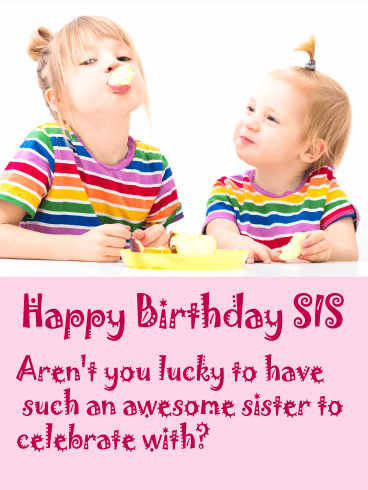 What's the best way to celebrate you sister's birthday? With a colorful birthday card that's a "hole" lot of fun! This giggle-worthy greeting has all the elements for making her day happy: an adorable little girl, a bright balloon & a pink sprinkled donut. But it all comes together with the message below, which lets her know that even though she's another year older, she'll always be young at heart! Rows and rows of cocktails will help you toast your sister on her birthday, while the words above will leave her laughing! 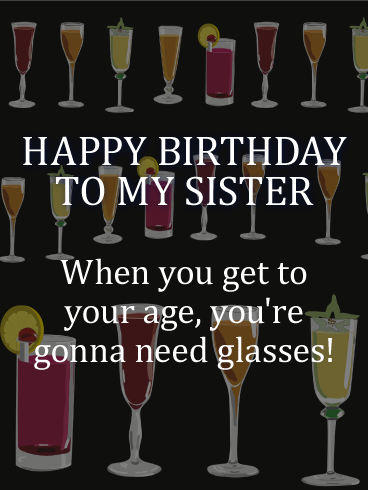 These are the kind of glasses she wants to see as she turns another year older, and they may make her forget about the other kind. What a wonderful way to wish her well in your own special-and funny-way! 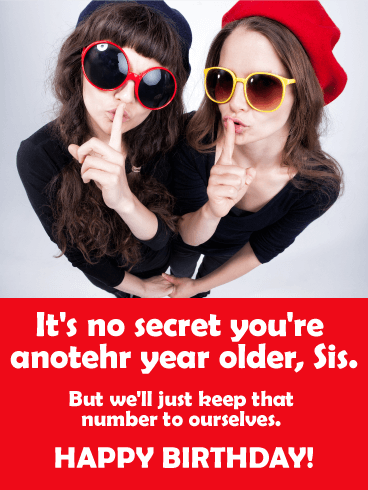 Sisters love sharing secrets, no matter how old they get. And these two golden oldies prove that you can still have fun at any age as long as you hold onto your sense of humor. 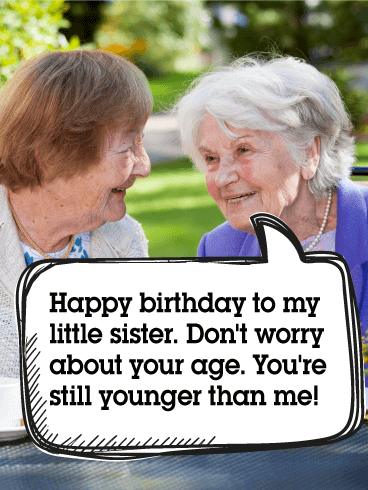 This is the perfect funny birthday card to send an adult sister who could use a few laughs from someone very close to her. She knows everything about you, even the stuff you don't want anyone else to know! 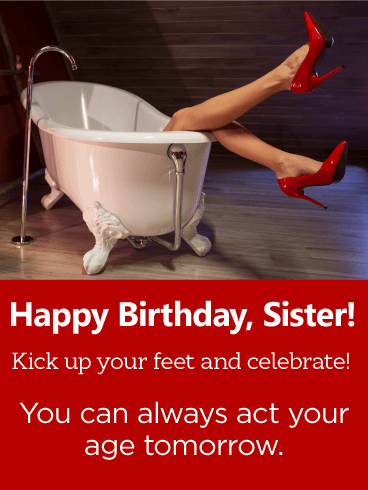 So when her birthday comes around, it's a good time to remind your sister that no matter how old she's turning, you'll keep it to yourself, which is exactly what any good sister does! 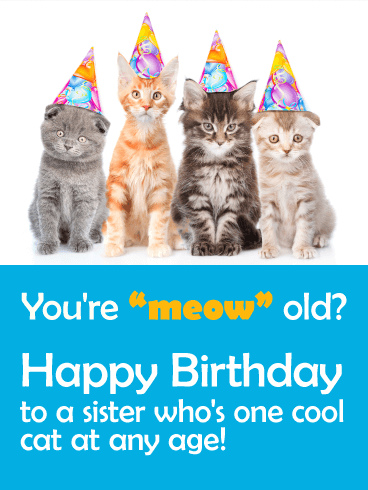 The picture on this birthday card will take your sister right back to your childhood days. It's the perfect mixture of funny and sweet, and the bright-colored outfits the girls are wearing definitely makes this birthday card stand out. 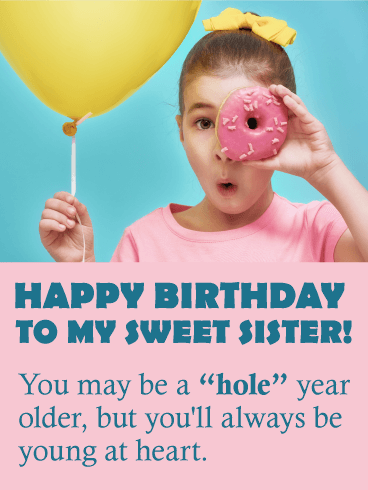 The sentiment is both humorous and sweet, and the crack about having such an awesome sister is such a fun way to joke around on her birthday. 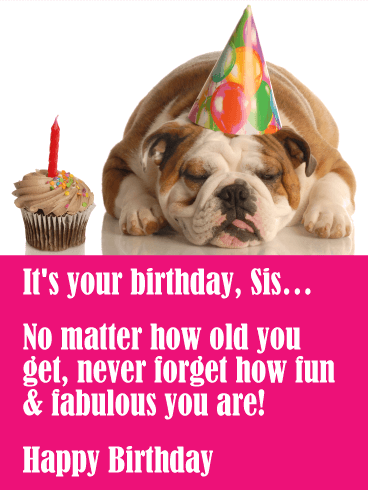 Here's the perfect birthday card for any sister who's always the life of the party! As you can see, it looks like someone may have had a little too much fun…but that's ok! There's always tomorrow to be responsible. Tonight is all about celebrating a special member of your family in style. It's a reminder to her that you don't always have to act your age on your birthday as long as you're having a good time!